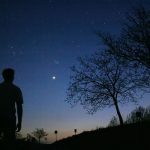 2009: AÑO INTERNACIONAL DE LA ASTRONOMÍA…. El Universo para que lo descubras..
Para aprovechar al máximo las siguientes efemérides, por favor toma en cuenta lo siguiente: 1.- Los tiempos están señalados de acuerdo a la Hora del Centro (o Local, válida para Monterrey, Guadalajara y Ciudad de México) Consideran una diferencia es de 6 horas con respecto al meridiano de Greenwich y una diferencia de 5 horas cuando es Horario de Verano. En otras palabras, se suman 6 horas en invierno y 5 horas en Verano para obtener el Tiempo u Hora Universal. En México, el Horario de Verano inicia el primer domingo de abril, a las 03:00 horas y concluye el último domingo de octubre, a la misma hora. I agree. Many of these queries are from peploe “crazy as a nut house.” Certainly, many of them will never in their wildest dreams be professional writers. But isnt that the point. Kristin Nelson is a professional and I find it beneath her to poke fun at those less capable than her. Would you walk into a loony bin and laugh at the inmates? Do you go to a house for the deaf and make fun of the way they talk? I dont have a stick up anything. I’m not that sensitive. I’ve been rejected hundreds of times. But I simply have no respect for agents who have fun in public at the expense of writers, particularly ones that clearly are going nowhere in writing, or most likely in life as well.